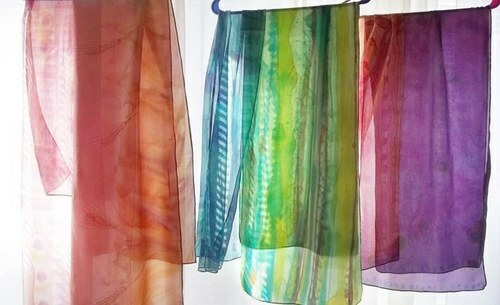 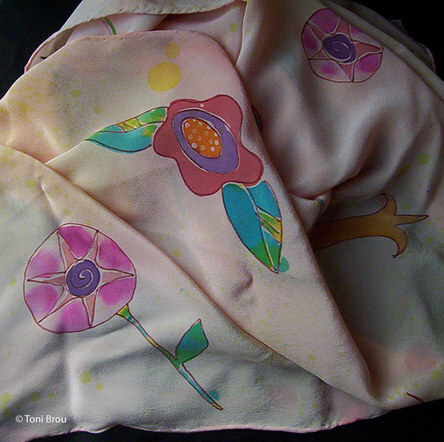 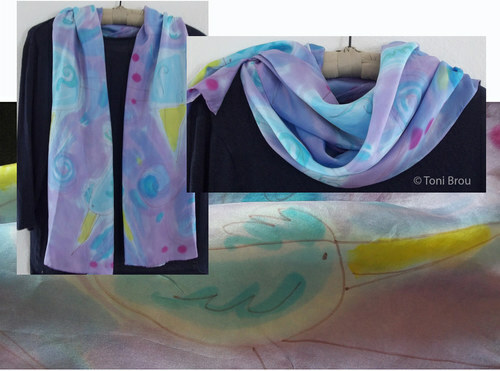 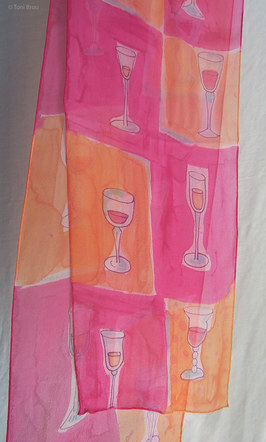 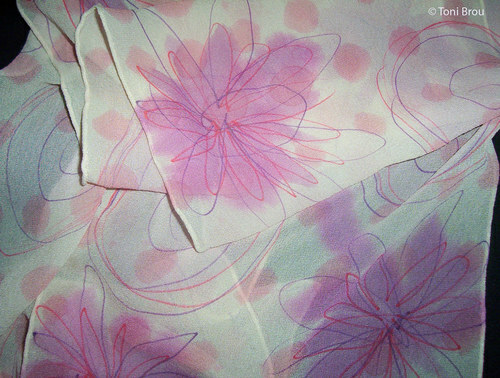 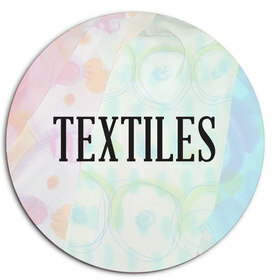 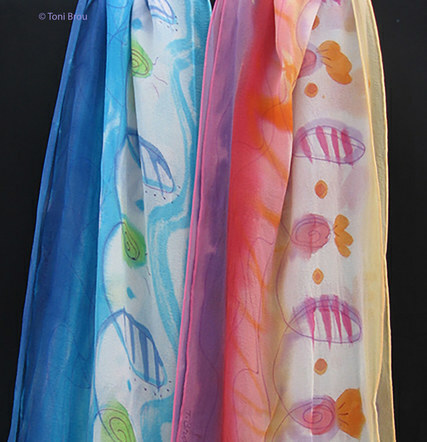 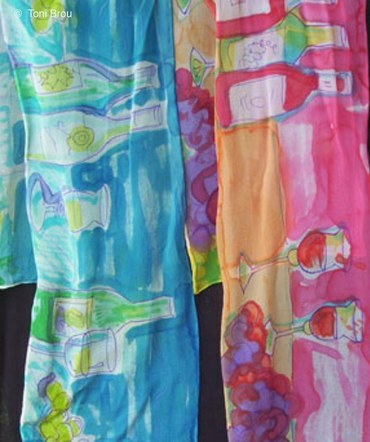 Floaty silk chiffon scarves with wine design in cool or warm colors. 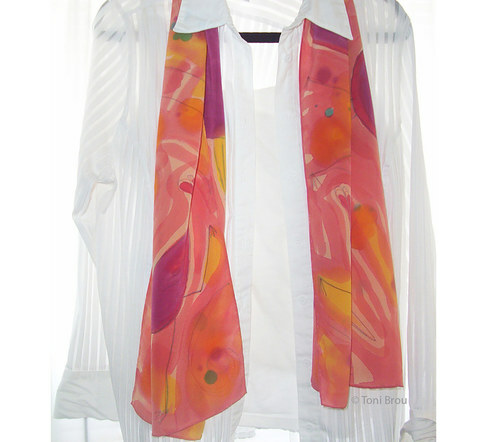 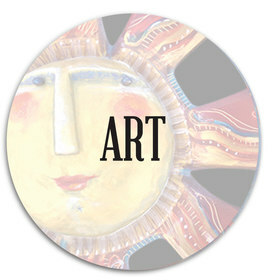 I purchase blank white pre-hemmed silk scarves from Dharma Trading. 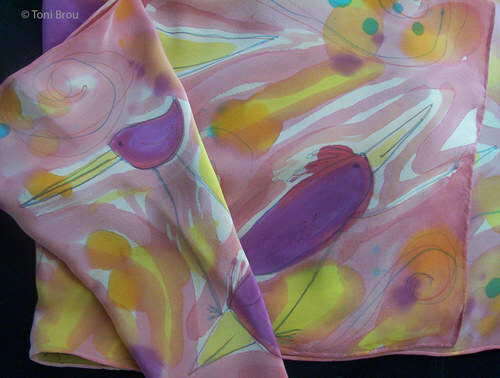 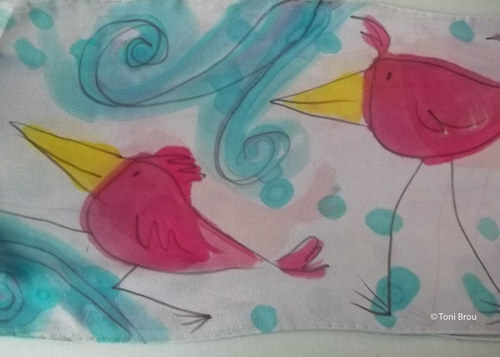 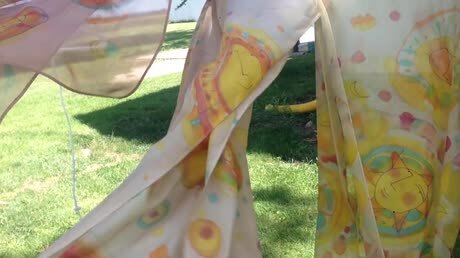 I can easily paint on other silk items.